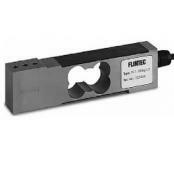 Flintec is one of the world's largest manufacturers of precision load cells and strain gage electronics - innovating a diverse range of force measurement solutions for customers who demand optimum accuracy, quality and customer service. Founded in Sweden the company has focused upon the design and manufacture of strain gages, load cells, measurement electronics and software for a diverse industry base from weighing machinery and now new markets in the medical device, industrial and agricultural machinery and process automation sectors. Flintec is part of the Swedish Indutrade Group listed on the OMX Nordic Exchange Stockholm. Its teams have always actively sought out the most difficult load cell weighing and force measurement challenges. Flintec innovates solutions for applications that rival firms either ignored or tackled badly. Major sectors served include process weighing, weighing machinery, industrial and agricultural vehicles, medical device manufacturing, test & measurement plus process automation & control. More information on off-the-shelf or custom-designed load cells and strain gauge electronics.